March 1, 2018 - Because of changes in legislation, lending requirements and related issues, FHA regulations and underwriting requirements are subject to change from time to time. Some of the changes come as part of new laws that close legal loopholes, improve the fairness of the FHA mortgage loan process, or modernize the FHA loan program. Other alterations are made in response to current market conditions and economic issues. Because of the changing nature of the FHA home loan program, the information new house hunters may have gathered a year or two ago when considering a new home may not be the same if they chose to wait to start the loan application process. This is definitely the case for any potential borrower who investigated their FHA loan options recently. FHA issued new guidance in the last several years on the minimum credit scores needed for certain FHA guaranteed home loans. Minimum credit score requirements for FHA home loans depend on which FHA loan product the applicant needs. Generally speaking, to get maximum financing on typical new home purchases, applicants should have a credit score of 580 or better. 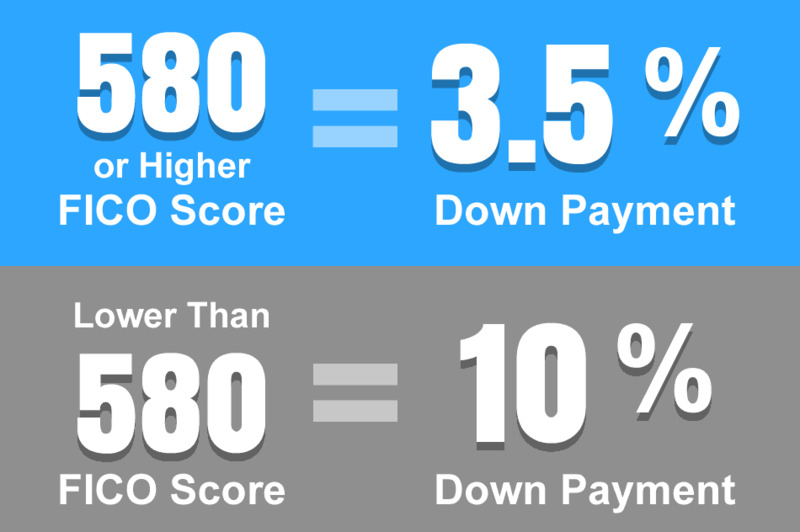 Those with credit scores between 500 and 579 are, according the the FHA guidelines, "limited to 90 percent LTV". The FHA does make allowances for loan applicants with a "non-traditional credit history or insufficient credit" may be able to be approved for an FHA loan if they meet FHA requirements for such circumstances. Don't assume you cannot be approved for an FHA insured home loan--do you have changes in your credit score since the last time the credit reports were run? You may have options that can improve a poor credit score over time. Some potential borrowers may need to spend a year or so repairing bad credit and establishing a reliable payment history. Those with past credit problems can often improve their scores over time and become eligible even under the new updated FHA minimum credit score requirements. The first step is to request help from the FHA for credit counseling or first time homebuyer counseling. Help is available at FHA.gov.